Registration: Now open. Last day to register is Thurs., May 5. Register and find out more about rules and schedules at www.kickinitchallenge.com. Registration continues through May 15 for The 5th Annual Kickin’ It Challenge soccer tournament. 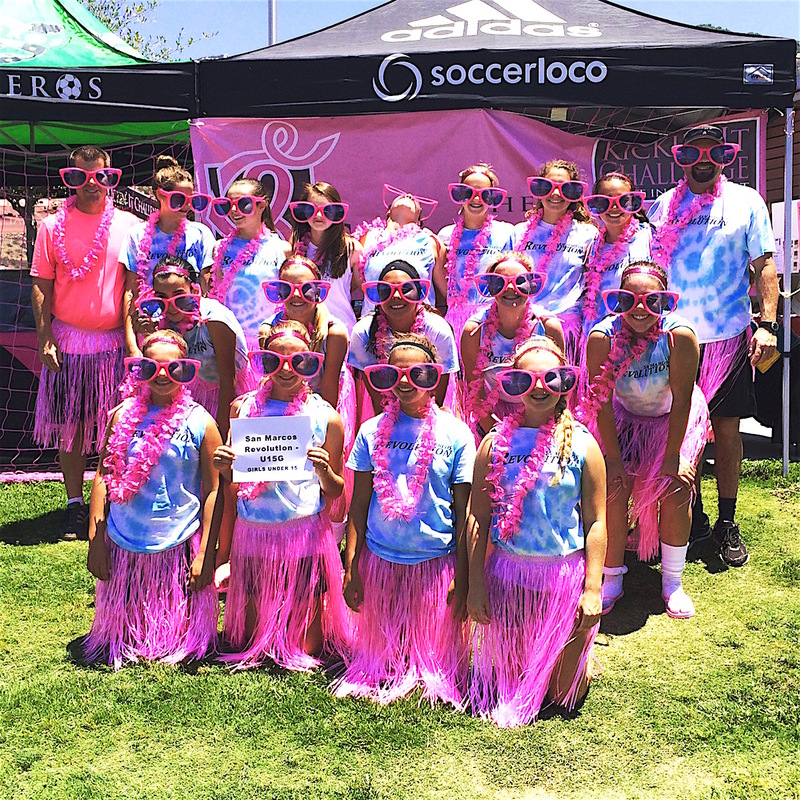 The tourney at Frances Ryan Park, Escondido will bring together San Diego and Southern California’s youth soccer teams Saturday, June 18 to Sunday, June 19 in the fight against breast cancer. The companion Kickin’ It Challenge Gala Bash celebration will be returning for its second year as well. That’s from 6 p.m. to 10 p.m. Friday, June 24 at Old Poway Park. Tickets are $75. This includes a silent auction, dinner, beer/wine, and dancing. Ticket sales continue through Wednesday, June 15. Kicking’ It participants like to have fun. During the two-day soccer tournament, approximately 2,000 youth soccer players on 120 teams will be decked out in pink to take the field to participate in games that “Unite in the Fight” against breast cancer. The goal is to have fun while making a difference for the soccer moms in their lives as well as other San Diegans battling the disease. As part of this unique tournament, there will be a Soccer Tournament Entry auction, which awards entries for soccer teams to the Carlsbad Cup, Coronado Holliday Cup, Copa Del Mar, RSF Summer Classic, and Pats Cup. There will also be two Power of Pink (POP) awards. Teams winning the POP awards will be granted free entrance to the 2016 Kickin’ It Challenge. One hundred percent of proceeds raised at these events will benefit Susan G. Komen San Diego (Komen San Diego). Over the last four years, Kickin’ It Challenge events have raised more than $150,000 for Komen San Diego, making it one of Komen’s largest third-party fundraisers. Be the first to comment on "Kickin’ it to fight breast cancer returns"